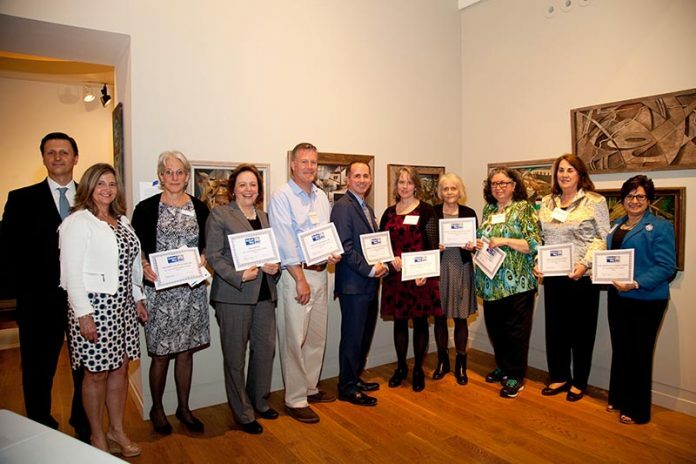 At its annual Community Impact Celebration, the Cape and Islands United Way announced funded programs and partnerships for the coming year, and celebrated the efforts of the donors and volunteers who make the work of the United Way possible. According to a press release, included among the 33 nonprofit partnerships and 37 programs announced was funding for several Martha’s Vineyard–based programs to address critical needs on the Island. A partnership with Martha’s Vineyard Community Services in the amount of $15,000 is among the initiatives. The MVCS Recovery Support Services program provides recovery support for individuals on the Vineyard struggling with addiction. In this program, recovery coaches will assist individuals in exploring their relationships with substance use, and help establish a new foundation for living life without the need for drugs or alcohol. Other programs funded on the Vineyard by the United Way include Big Brothers Big Sisters Cape Cod & Islands “Expansion of One to One Mentoring on the Vineyard Program,” and the “Martha’s Vineyard Homeless Prevention Program” in partnership with Housing Assistance Corporation. The homeless prevention program provides case management services for individuals struggling with housing issues to identify long-term solutions. A complete list of funded partners can be found online at uwcapecod.org/grants. “We are especially pleased to have become a more visible and responsive partner to nonprofit organizations on the Vineyard,” said Barbara Milligan, president and CEO of Cape and Islands United Way.